Though this feature has been on for months now, i just felt like letting some peepz know. 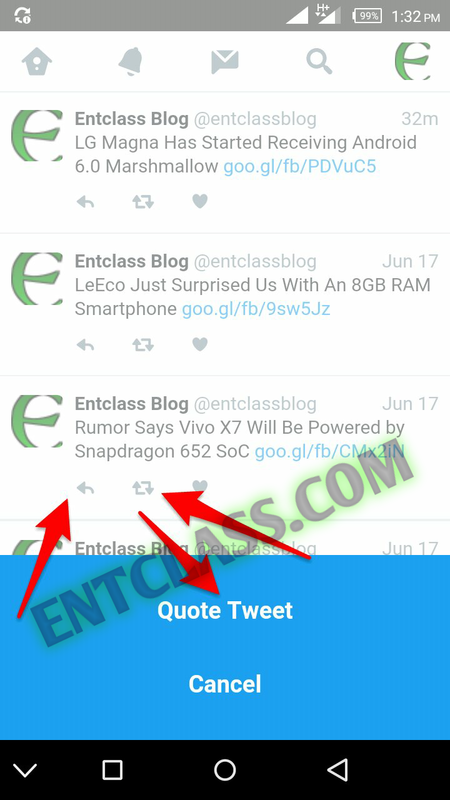 You can now Quote tweet your tweets easily without stress. "Retweet and Quote Tweet yourself: We’ll be enabling the Retweet button on your own Tweets, so you can easily Retweet or Quote Tweet yourself when you want to share a new reflection or feel like a really good one went unnoticed". 1. Goto the Tweet you want to retweet. 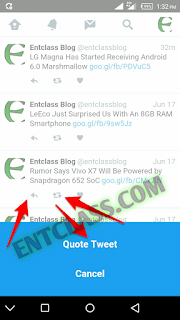 quote tweets allows you to add a new comment on top. 3. To retweet, kindly click on the left faced arrow. That's all. Its not hard. I hope this new development will be of help to you. I tried it and it worked on first trial and stopped afterwards.